The The LRC initiated in 2015 under the name of Mar w-lah Syriac Academy in order to promote studies and researches in the East Syriac language. The first ‘one week intensive basic course’ was conducted on from 27 April to 2 May 2015 at Mount St. Thomas, Syro-Malabar Major Archiepiscopal Curia, Kakkanad. At present two sessions of intensive studies in East Syriac language are organized; they are in the last week of April and October vacations. 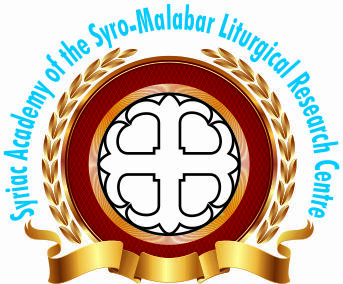 The Liturgical Research Centre and Mar_W_Lah are part of the Major Archiepiscopal Curia of the Syro-Malabar Church at Mount St. Thomas. It is governed by a Board of Directors and headed by the Executive Director. It was for the first time that the LRC initiated under the name of Mar w-lah Syriac Academy a one week intensive basic course on the East Syriac language from 27 April to 2 May 2015 at Mount St. Thomas, Syro-Malabar Major Archiepiscopal Curia, Kakkanad. The Mar w-lah refers to the Christological proclamation of Saint Thomas the Apostle “My Lord and My God” at the glorious moment of the Risen Lord’s personal invitation to touch and see His wounds and believe in his Resurrection. There were 29 participants but only 24 people attended regularly: 5 lay people, 3 Sisters, 5 Fathers and 10 Brothers from Ernakulam-Angamaly SH Minor Seminary. Rev Fr. Joji Kallingal, Executive Director of the LRC, welcomed the participants and inaugurated this new venture of the LRC. Rev Sr Dr Jincy Othottil and Rev Dr Francis Pittappillil were the tutors. Rev Dr Pauly Maniyattu gave the orientation talk. Bp Mar Pauly Kannookadan, the LRC Chairman distributed the certificates to the regular participants. His Excellency concluded the session with a message highlighting the relevance of learning the East Syriac language which is also the heritage of the Syro-Malabar Church. The Mar W-lah Syriac Academy conducted the one intensive East Syriac Summer Camp at Mount St. Thomas from 25-30 April 2016. There were 26 participants from all walks of life. The orientation talk and initial classes were given by Rev Dr Peter Kannampuzha. Rev Dr Francis Pittappillil, Rev Sr Dr Jincy Othottil and Rev Dr Peter Kannampuzha were the tutors. The co-coordinator of the Syriac session was Rev Sr Mereena, SD.